As a sheer, glossy lipstick loving girl, it's taken me a while to get into the whole matte lipstick trend. It's not that I haven't tried searching for the right product, more so having not found the perfect matte. The NYX Soft Matte Lip Creams have been making their way around the blogosphere lately so I thought it was about time I gave them a go myself. Now I will admit, even though I work directly across from a Boots store, I did make my purchase on ASOS. Mostly due to the fact that I'd get more choice of colours but it was tricky choosing the right shade from the computer screen. I decided to choose two colours which I knew would suit me, having worn lots of darker pink toned lipsticks in the past. I really wanted a Kylie Jenner esque shade but with my pale complexion there's a fine line between looking great or looking washed out. 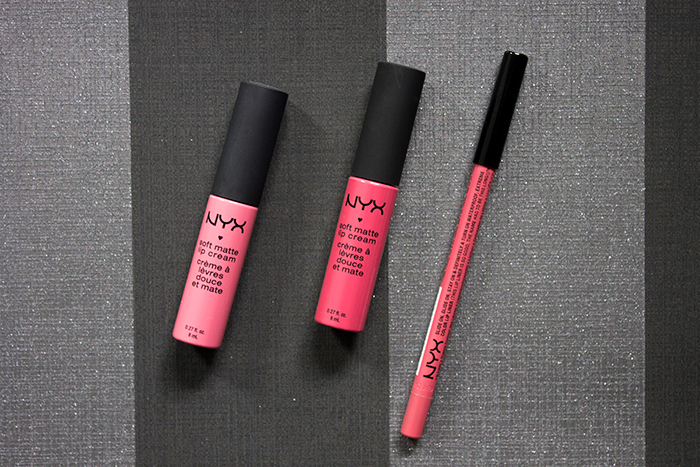 The first shade I chose was NYX Soft Matte Lip Cream in Milan, which I would describe as a pink mauve colour. The other shade was NYX Soft Matte Lip Cream in San Paulo which looks almost the same but a slightly deeper tone of pink. I think these are the type of shades that will suit almost any skintone so for me it's the perfect choice as a first impression. After lining my lips with the NYX Slide On Lip Pencil in Bedrose, I popped on a thin layer of colour and I was pleasantly surprised how smooth and easy the lip creams went on. I didn't have to ensure my lips were completely smooth before application, nor did I have to pile on layers for the colour to completely cover my lips. So far so good! Although they are very comfortable to wear, my only disappointment was the fact that they seem to only last a couple of hours on the lips without fading. Plus this was with the use of a lip pencil so I expect the lip creams to disappear even quicker without it. However, for an inexpensive lip product, I really can't complain when even my high end lipsticks seem to disappear also. 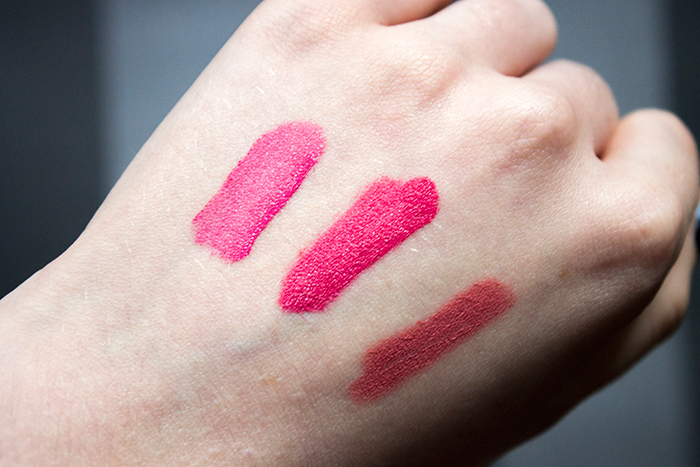 For the lovely finish and wide range of colours available, I think they're well worth picking up if you're in need of some matte lip creams in your life.